This was going to be a slightly emotional run for me as what I plan to do for this year finally comes into a full circle. Earlier this year I decided to attempt to make 12 different runs for 2012 as one of the things that I would want to achieve for the year. 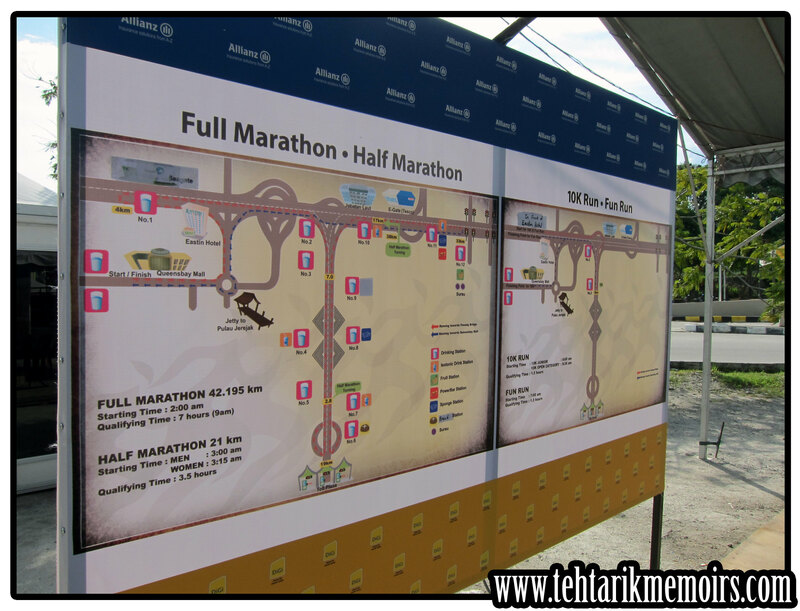 However because of the unexpected trip to the Caribbeans, I would have to forgo one of the runs which was suppose to be my first full marathon. 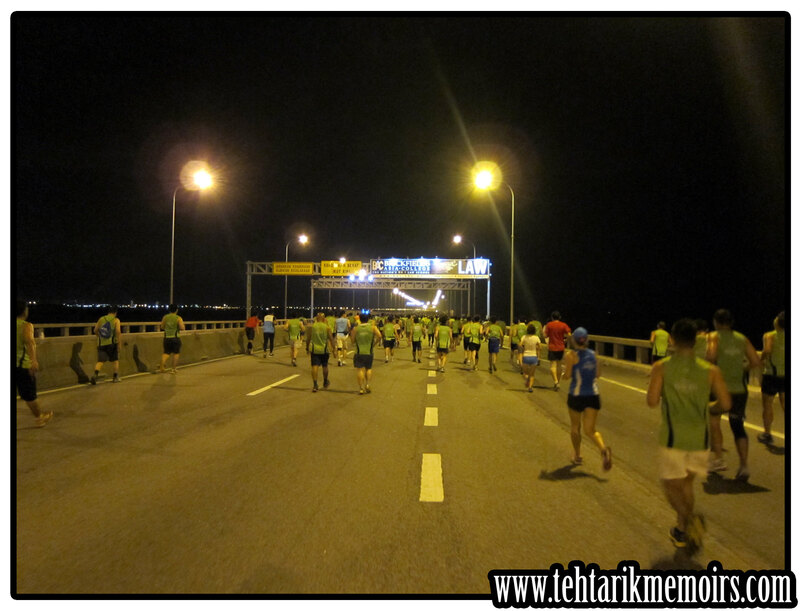 And so, the Penang Bridge International Marathon was going to be the last run for TehTarikRunners for the year. And by golly, we are going to make it a good one this year. 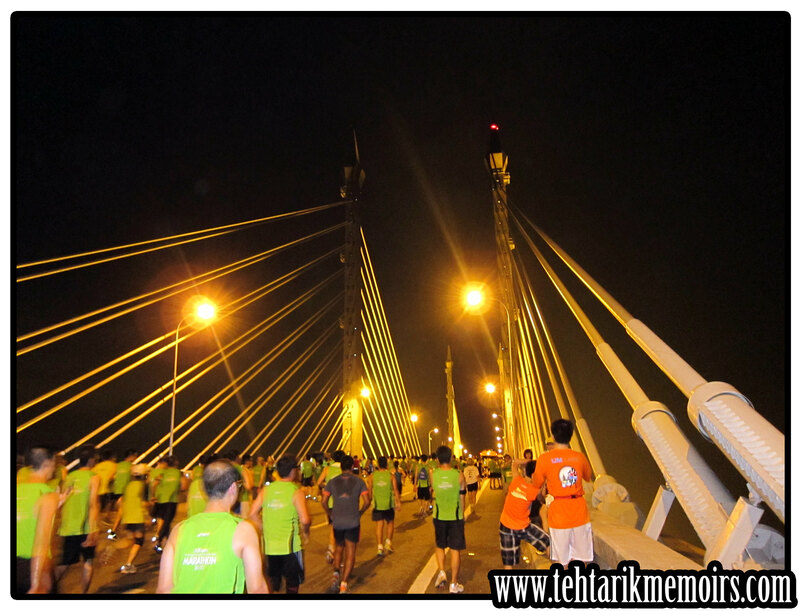 Since that we were told that this was going to be the last one that they will do on the old Penang Bridge, the number of participants were higher than ever before which means that the traffic going up to Penang as well as during the run is expected to be much much worse. 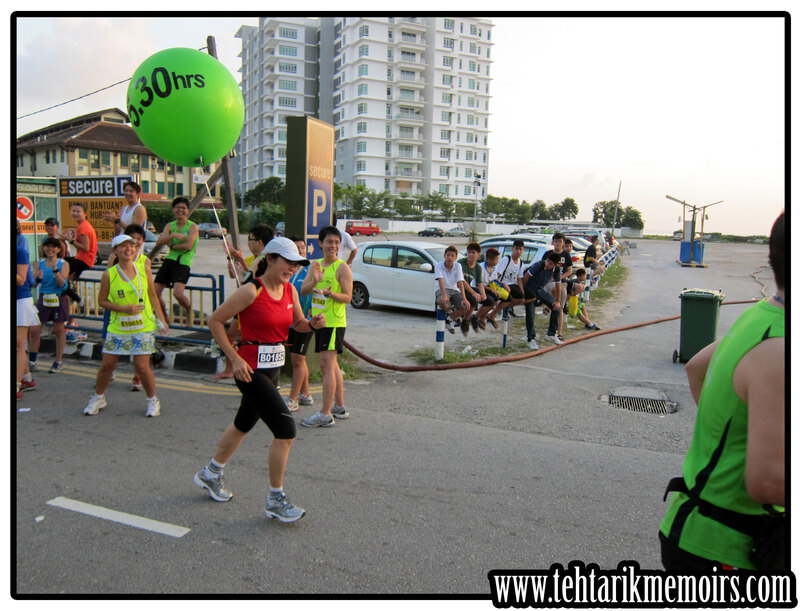 Nevertheless, the usual suspects for TehTarikRunners were making their way to the North for this run, albeit in separate ways. While making our way up, there were some dramas that we had to endure which did test us a little bit. For the life of me I could not find where my bib number was that was sent to my house earlier so that made our starting journey VERY LATE than expected. 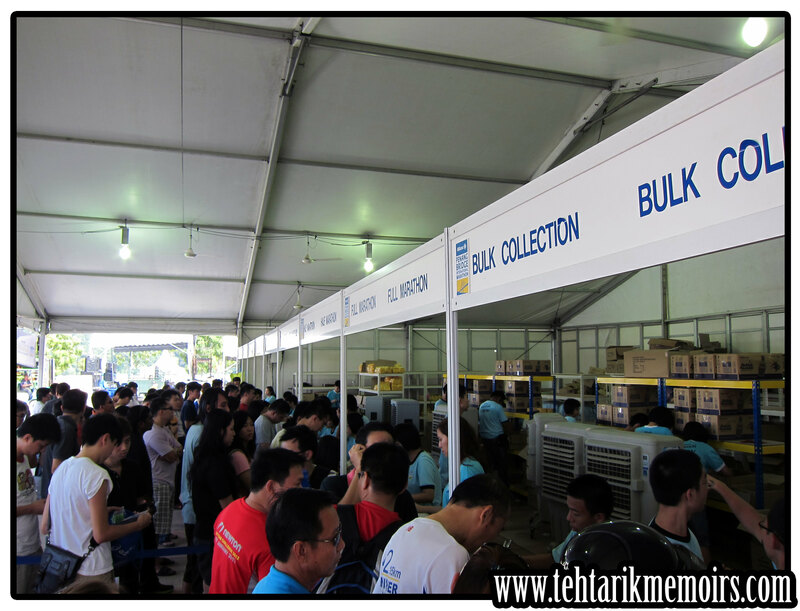 Along the way, we could already see the sheer volume of people driving up north because of the run and also because of the long holiday. To make matters worse, the weather decided to rain like no tomorrow while we were making our way up, which contributed to the traffic as well. 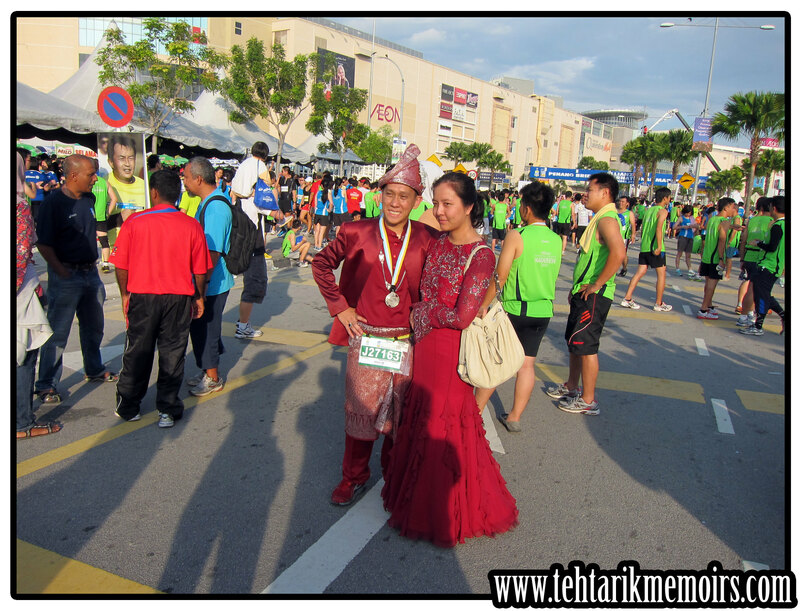 When we arrived in Penang 3 hours later, I could see a lot of things that has improved on the setup for the run in comparison to my previous Penang Bridge run last year. I did hear someone mention to me earlier that they were looking to improve A LOT on the run this year to get their standard to Bronze so I was personally excited to see what were those that were prepared for the run. So we got ourselves into bed early and prepared for the run! 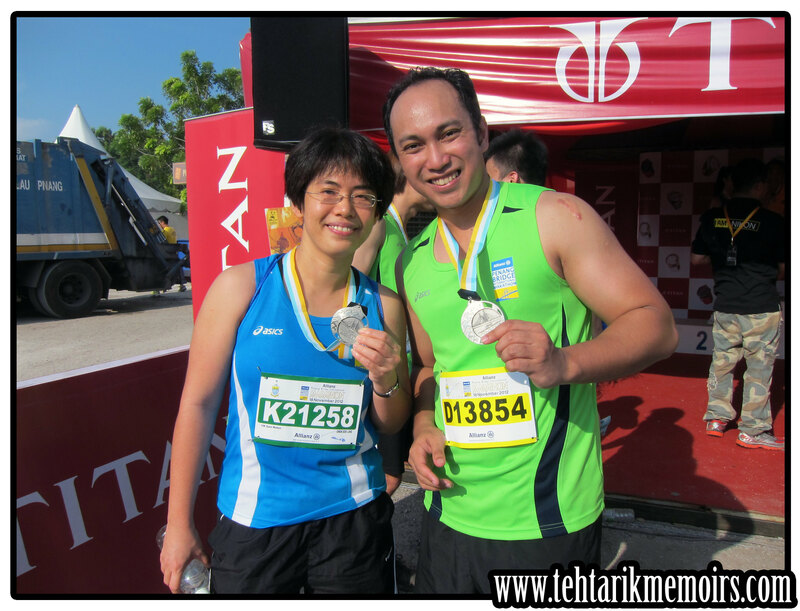 At kilometer 1, everything was going rather smoothly despite the fact that I was 10 minutes late to the starting point. Will talk about that later. But within this km, I was able to catch up with the rest of the pack and keep on running. Kilometer 5, we reached the iconic middle part of the bridge which was breathtaking (literally). A lot of people stopped and took the opportunity to take pictures at this section, which I also did. One thing I realized so far is that the organizers have brilliantly provided watering and medical stations for EVERY 2 KM of the race which was fantastic! Kilometer 7, we were making the turn to head back to the island and so far, my vitals have been alright despite some uneasy pain on my toes. Breathing wise have been good because I learned my lesson about the salty sea air on the bridge and controlled my breath accordingly. Kilometer 9, I saw quite a number of people struggling with the intervals of the road, which also took some toll on me as well. Slowed down a little here and chomped down on me GU Gel for recovery. Unfortunately I kinda lost a lot of my timing because of the many stops I was making with the medic tent by this time. 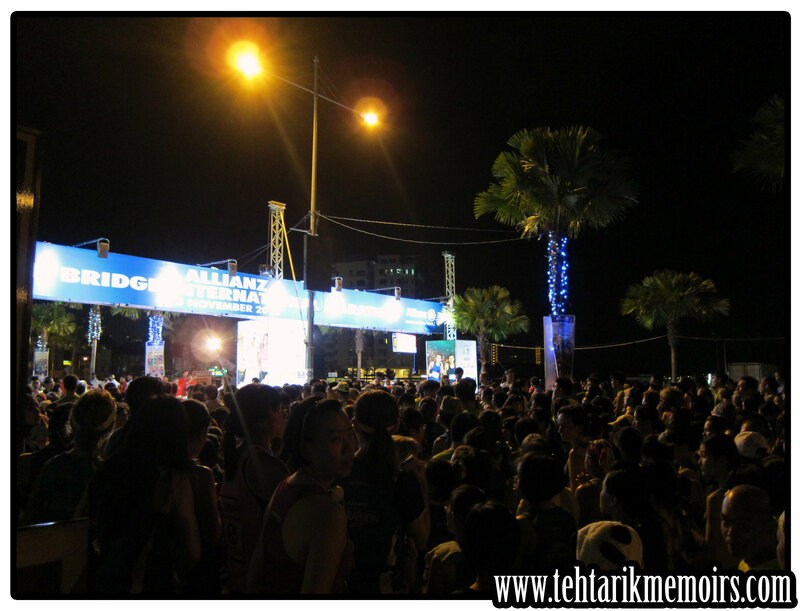 Kilometer 11, we were starting to exit the bridge and I spotted alot of people cheering by the side of the road. To be honest these people, along with the school volunteers (pandu puteri, boys scouts and medic) were nothing short of amazing. The very fact that these guys have been out since the wee morning hours to support us runners was seriously great. Kilometer 13, I was starting to feel the expected cramps so I whipped out the deep heat spray to relieve some of the pain especially on the ankles. I saw a few people who were in much worse to wear so I decided to stop and help out a little bit. 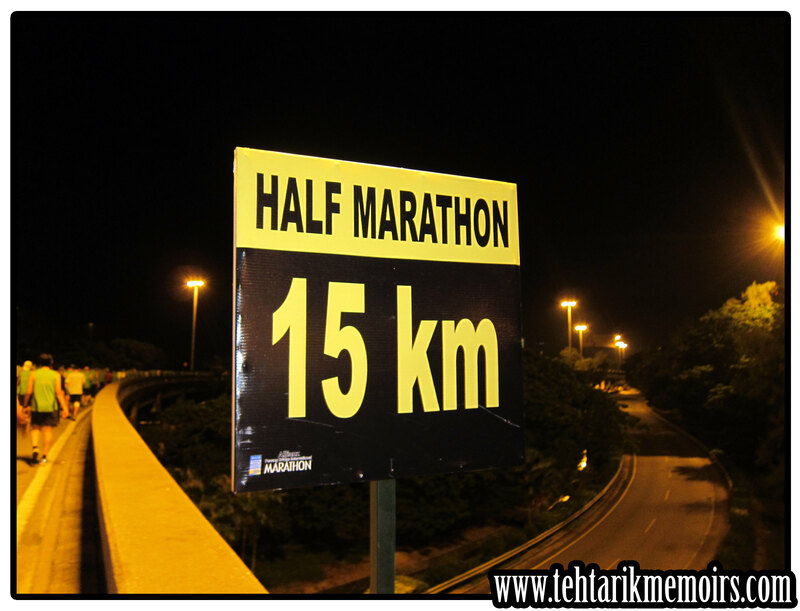 Kilometer 15, I was mentally telling myself to finish the run as I started to see some who did not want to continue the run already. My music decided to kong out at this point which was a huge bummer so I had to keep my eyes on the track and paced myself with some runners at this point. Kilometer 17, I was getting a lot of pains on my knees from the decline on the trail which did reduce me to a run-and-walk pace along this km. At this point I was looking around for something to keep my mind motivated. Luckily, I saw this which was put up from the organizers. 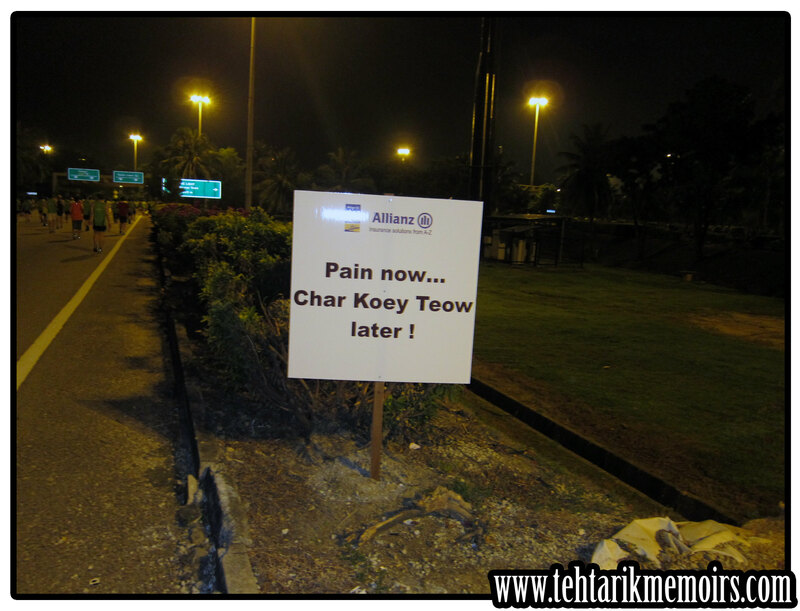 Kilometer 19, we were entering the trail via the Bayan Lepas Queensbay Mall exit and I was deploying my emergency "power walk" method to finish this. At this point I thought to myself that I was going to maintain this pace until the last 500m and make a sprint for the finish line. Lets hope it works. 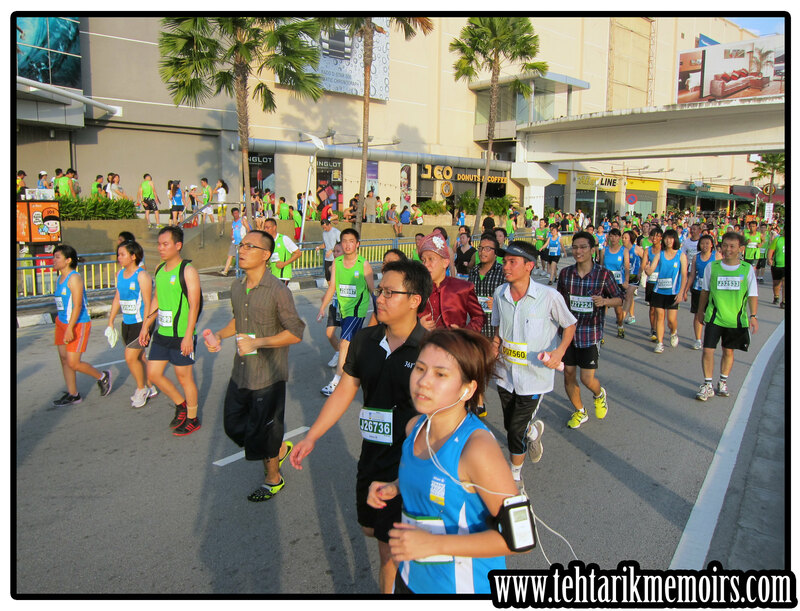 At the last stretch, I was huffing and puffing to finish the race and the dreaded calf cramps decided to come AGAIN at this stage but I decided to screw the pain and made a run for it. So there I was totally exhausted from the run and at that moment I decided to rest around while waiting for Ash and Clance to finish their race since they started about 30 minutes after I finished my race. Had a morning chit chat with a really nice uncle who brought me some bananas after looking at my condition. 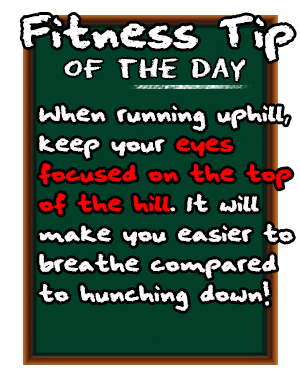 This is the reason why I love the running community. As I sat there waiting for the two to finish, I couldn't help but feeling envy looking at the full marathoners finishing their race amidst all the proud cheers that people were giving them. I was watching in awe on how these people were beaming with pride as they finished their full marathon and somehow, I so want to do the same as well. As Ash and Clance came about to the finish line, we decided to hang around and check out the sights and sounds of the event while we really soak up what was going to be our last run for the year. So all in all, the conclusion to our last run for the year was a great one. 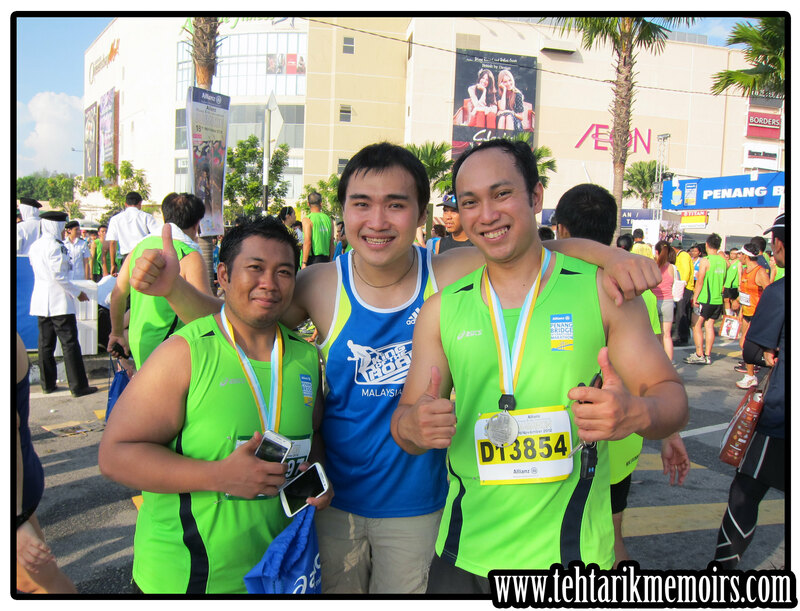 Honestly one of the best organized run in Malaysia this year and all credits are given to the organizers for a great event. If I could complain just one thing, I would appreciate if they handled the car traffic better in getting to the event itself. A lot of us got lost while trying to find and alternative route to Queensbay Mall and the cops were not helpful at all. 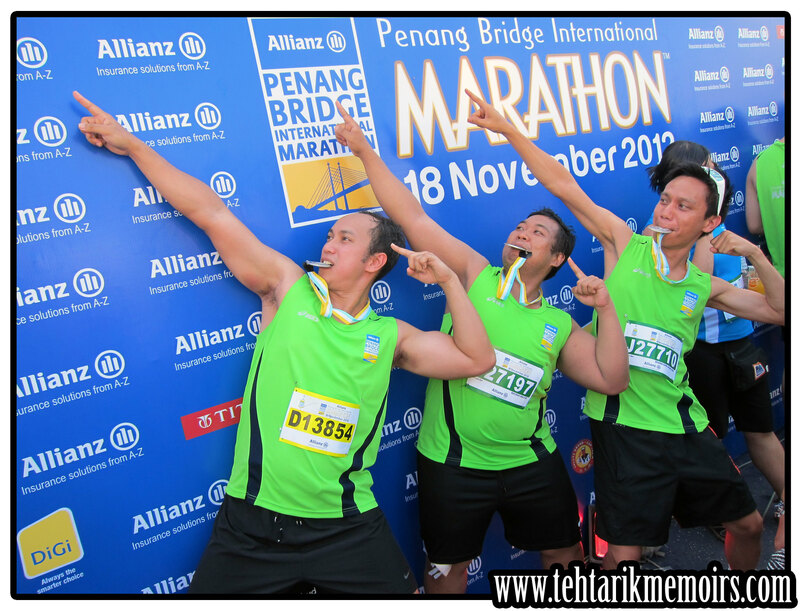 Apart from that, the more than adequate drinks stations, the volunteers, the medical attention, the great organization of timing, cheering squad, which contributed to a great finale for the year for me and also for the final run of the old Penang Bridge. 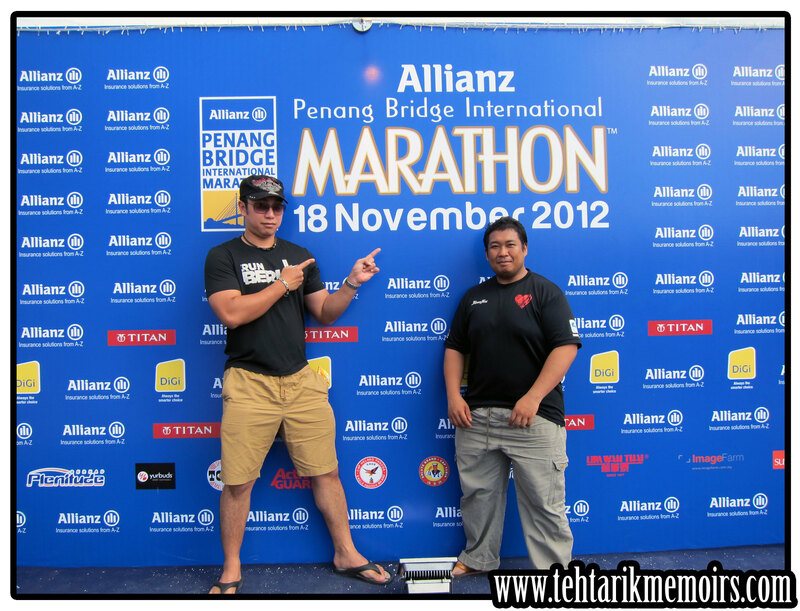 And so for the last time for the year 2012, our pose for the Penang Bridge. 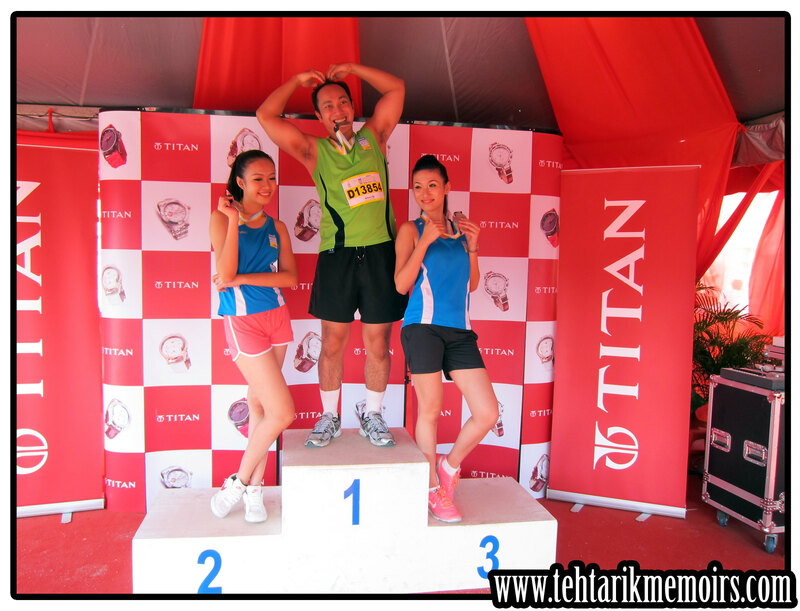 Now its time to look forward for next year's running schedule. Time to go international!